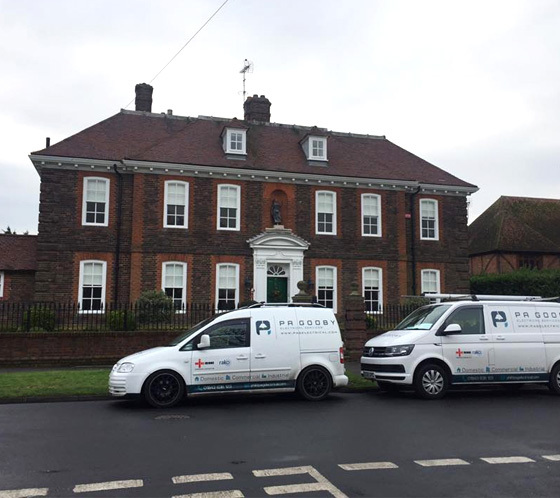 We are a friendly, reliable, honest and affordable electrical contractor based in east Kent and covering the south east. We cover all aspects of electrical works whether it be domestic, commercial or industrial and we are always happy to help and give free advice and quotations. We work on a large variety of projects mainly domestic and commercial refurbishments, rewires and adaptations. We have a large commercial and industrial background from previous projects including large factory installations, restaurants, hotels and office blocks. We have also been involved with the installation and design of projects that have gone on to win national and international awards. Our aim is to provide a great service with a smile and to always do our best for the client. We strive to do the best we can for ourselves, and the end user. We can give many testimonials and examples of works to show our dedication to carry out a thorough and precise job, with a great attention to detail. With access to the latest tools and technological advances in the industry we can save you time and money in all aspects of work. We are also at the forefront of the latest LED lighting technology, we have used our knowledge and experience to save clients thousands of pounds on their bills.